We've seen levitation around here before. A lot. In speakers. In lamps. In freakin' bonsai trees. But the Levitating CUP still makes me Ooooh and Ahhhh because, well, it contains alcohol. In a dazzling and unforgettable show, the Levitating CUP levitates my tumbler of whiskey, my goblet of brandy, and my glass of beer. What can I say, you float my booze, you float my boat. I'm a simple man. 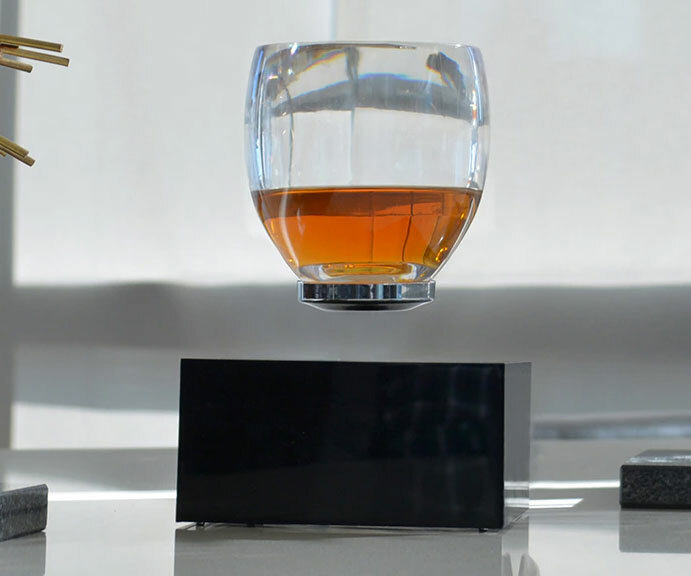 Check out a GIF of the Levitating CUP in action here and here. 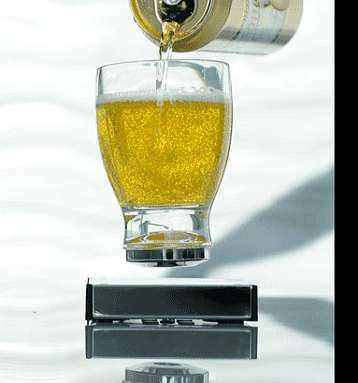 According to creator Joel Paglione, "The Levitating CUP is the world's first zero gravity drinkware that will enhance your drinking experience and leave your guests in awe." So, nope, no real utilitarian underpinnings, it's all about the spectacle. 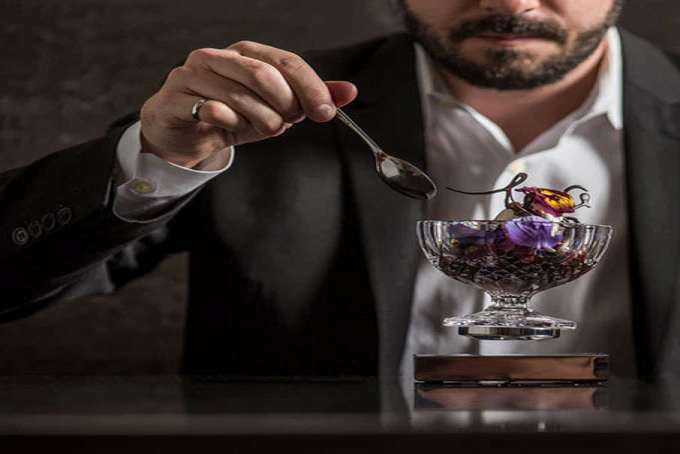 The CUP consists of a base and one of 4 glasses that "quantum lock" in perfect symbiosis. Using a system of magnets and an electrical field, the metallic base can hover and support the cup, even when full, about an inch above its surface for an indefinite length of time. The Levitating CUP seeks crowdfunding on Kickstarter through August 19, 2016. Backers will have their choice of a wired or wireless base in black, white, or chrome, plus a cocktail, beer, coffee, or dessert glass to float above it.